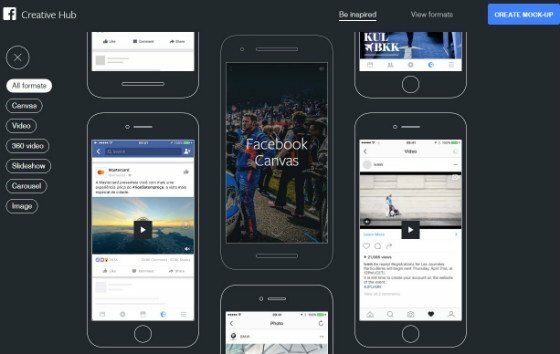 James Allen runs through this week's social media news, including extended reach for Facebook's audience network, business features for brands on Instagram and an updated image search on Pinterest. Facebook launched its Audience Network two years ago in an attempt to expand the reach of Facebook ads. Since then it has been gradually extended. 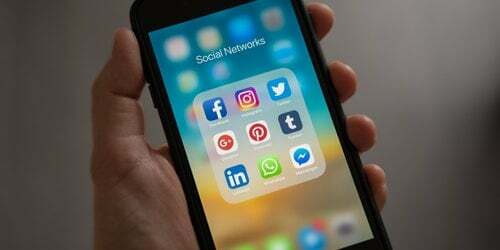 Earlier this year, the Audience Network was extended to target mobile websites and third-party mobile apps, however, the adverts were limited to Facebook users. On 27 March 2016 Facebook announced that it had updated its Audience Network once again. 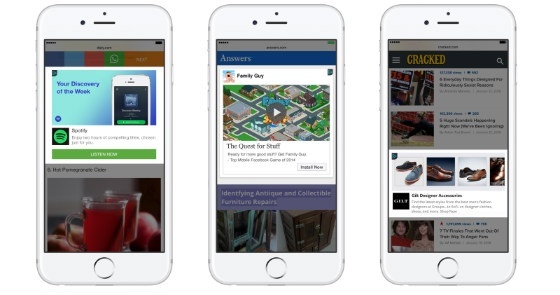 The ad platform will now target all users with adverts, not just Facebook users, meaning that anyone using mobile apps or the mobile web could potentially be reached by Facebook’s Audience Network. Instagram is in the process of running tests on new business-targeted features. Variables in the new app will allow users and businesses to do a variety of new things using the social network, including pushing their photos for added visibility, using the can_boost_post variable. Another variable in testing is designed to support whether Instagram users will be able to see detailed analytics - can_see_organic_insights. Instagram has been building business profiles for some time, but only recently has an Instagram spokesperson announced that tests are still running. 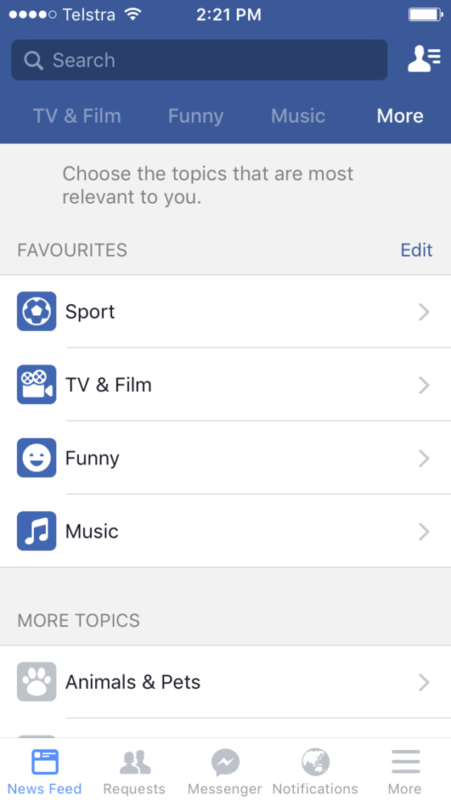 Facebook has been testing topic-specific news feeds to deliver more content to users related to a specific topic. Each feed shows content related only to that topic, and currently the content that is pulled through appears to be random, according to Andrew Hutchinson at Social Media Today. For example, videos, statuses and pictures are pulled through from users even if the user is not following them. Default listing of the new feeds is based on content that users interact with most on their usual Facebook feed, however users can change them by selecting from a list of different topics. 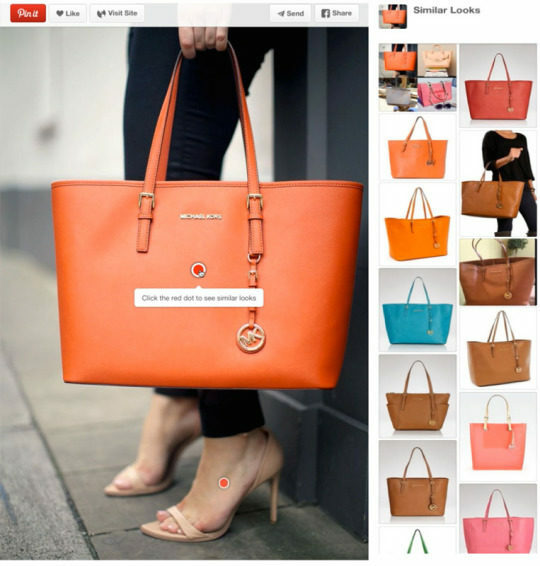 Pinterest is experimenting with an updated version of its image search function. The new function is designed as a re-vamped version of Pinterest’s previous image search feature. It places a red dot on specific items within an image, enabling users to “Click on the red dot to see similar looks”. 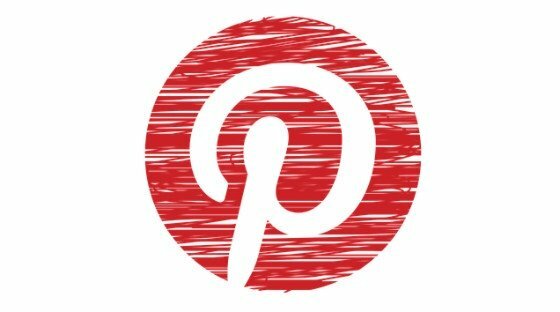 The red dot feature was recently sent live for a small percentage of Pinterest users, to see how they would respond to the new option. Out of the group that was given the function, 12% of them clicked the red dot. Looking to run a social media marketing strategy, or improve your current one? Discover our Social Media Management services today.